SOME of the Whooping Cranes are on their way! Operation Migration finally had good weather today, and all this year's cohort of Whooping Cranes got off the ground, but the inexperienced young birds didn't quite get with the program. One Ultralight led three birds to their first stop. The rest came down here and there at Necedah National Wildlife Refuge. Find out what's happening with them at Operation Migration's Field Journal. WATCH what's happening via the Crane Cam. Watching the flight via the cam this morning was splendid! And please support Operation Migration. It's expensive teaching these young birds the ropes, but it's our only chance of establishing a second wild, migratory population. The Whooping Cranes that breed up in Wood Buffalo National Park in Canada and winter at the Aransas National Wildlife Refuge in Texas lost birds this past year to horrible conditions at Aransas last winter which reduced the blue crab population they depend on. I don't even want to think what a devastating late hurricane or a bad drought could do to them. Remember, it's not good to put all one's eggs in one basket--especially when those eggs are the last birds of a badly endangered species. What fun! They're starting to "fly" from branch to branch. This is the farthest any of them have ventured. So far. Thse and more photos here. This beautiful cat is a natural born killer, but as a domesticated animal it is decidedly NOT a natural predator. What natural predator would kill two shrews just for fun, leaving the carcasses when the tiny mammals stopped "playing" along? This morning when I was walking Photon we came upon the first dead shrew and I wondered what had killed it. Shrews apparently taste horrible, and normal predators, after tasting one, stop wasting time with them. The question was answered when we came upon this cat with the second shrew in its mouth. When it saw Photon, it dropped the shrew and skulked into the woods, too late for the little mammal. I could tell exactly where the cat was in the understory by following the sounds of the many anxious parent birds giving alarm calls. There are so many nestlings and flightless fledglings right now--I get a stomachache every time I see a cat slinking about outdoors. Someone recently asked me whether their cat was in danger from Barn Owls that were calling and seeming to "scold" the cat every night. I feel so angry when people pretend their cat is a natural predator but don't want to subject it to the same harsh realities that genuinely natural predators face. And in the case of the Barn Owls--they're hardly big enough to mess with most cats. That group was clearly a family with probably more than one owlet. Their chicks were far more at danger from the cat than the cat was from the owls. I love cats. But they belong indoors. Period. My grandpa died 39 years ago, on Father's Day, 1970. He was one of the formative people in my life who get credit for whatever good I may do, and there are still times when I ache with longing for him. This is hardly the first time I've linked to this story, but since it's Father's Day, I'm reposting it, the one tribute I've written about him, "Grandpa's Canaries." I have been having a LOT of fun with Annie, my new camera. We took this photo at lunch yesterday at the lab. Amazing to realize that this poor little fish is right now nourishing not just one heron but three or four others. That's how many babies are in the nest. Three for sure, and maybe four! I'll be trying to get more photos from the nest tomorrow. The Great Blue Herons nesting in Sapsucker Woods this year have been so wonderful to watch that the window in the staff lounge has become something of a Laura magnet. We could tell that at least one egg hatched Friday or over the weekend, because we could watch the adult regurgitating food, and today I finally got a glimpse of a chick! I was home in Duluth for a few days last month, on either end of spending a week in Eagle River, Wisconsin. It coincided with the time of year when fawns are born, and as we were packing my stuff, I told Russ that more than any other thing, I was hoping to get a chance to see and photograph a newborn fawn that week. Minutes later while we loaded the car, my neighbor walked by and said there was a fawn in her backyard. We zipped over there and voila! I’ve posted a few photos of it on my flickr page, and one is up on my Twin Beaks blog. There is something exquisitely innocent and sweet about a tiny fawn. If I hadn’t needed to get on the road, I’d have spent hours there, mesmerized by the tiny thing curled up in the lawn. As long as you keep a respectful distance, fawns are fearless. Their mother told them to stay put, so they do, trusting in cryptic coloration and a benevolent universe. And at this point, the universe is indeed benevolent for them. A great many are killed every year during hunting season, and too many are killed on highways, but the fact that their numbers remain so very high is testament to how easy their lives actually are right now. Two and a half decades ago I found my own babies even more mesmerizing than this fawn. I stared at them for hours, days, weeks, months, taking endless photos and marveling that such innocence and sweetness could exist on this planet. Babies and fawns are alike in the way that the sight of them elicits a surge of protectiveness in most of us. We nurture both till they’re on their own, and then we complain, with as much justification as we had when we were nurturing them, that there are too many of their kind on the planet. That fawn is fed on milk that was formed within the doe’s body, fueled by native plants that become increasingly scarce as the invasive exotic weeds that deer shun grow ever more pervasive. My babies were fed on milk produced from the food I ate—vegetables grown on endless acres of farm fields that choked habitat and oozed with pesticides and fertilizers that worked their way into water supplies and up the food chain to contaminate food supplies. At the time the conservative Nixon administration banned DDT in the United States, the pesticide was not just wiping out Bald Eagles and Peregrine Falcons—it was contaminating mother’s milk. Looking at the tiny fawn curled up on the lawn, waiting patiently for its mother’s warmth and nourishment, trusting implicitly in this benevolent universe, I realized that too much of a good thing is still a good thing. But it isn’t enough to feel protectiveness and warmth toward a fawn or baby—we must act on it. These helpless beings trust in adults to keep the universe benevolent—overflowing with biodiversity, clean water and air, birdsong, peaceful relationships with our neighbors, to sustain them throughout that life so filled with promise. We can’t think this through as if we ourselves were still children—we must remember the harsh realities of predation, disease, and death. Love without commitment isn’t mature love, and those of us moved to protect babies of all kinds must be mature and thoughtful—to learn what exactly are the problems these tiny beings will face, and to use our minds and hearts and labor to solve them in as humane and gentle but committed a way as is humanly possible, to make this world we share truly sustainable for all the babies among us, and for their children and their children’s children. We’re not all of us rocket scientists. But we are supposed to be the smartest species on the planet—it’s up to us to justify that trust we see in the eyes of babies and fawns. Last week I promised my Elderhostel class I'd put together a list of links for good websites. Here they are! *My "sets" of photos--I put the Elderhostel ones first, and then the rest organized by family. I still need to categorize all the Elderhostel ones, but at least you can see them together. *Troy's Elderhostel photos from this year. 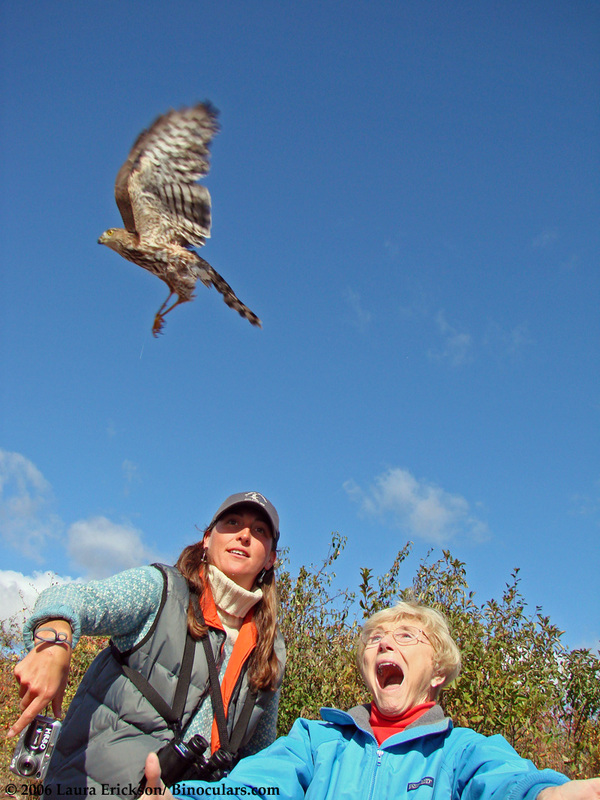 *The Cornell Lab of Ornithology's All About Birds website. Type in just about any North American bird in the search box and you'll find a lot--sounds and photos both! 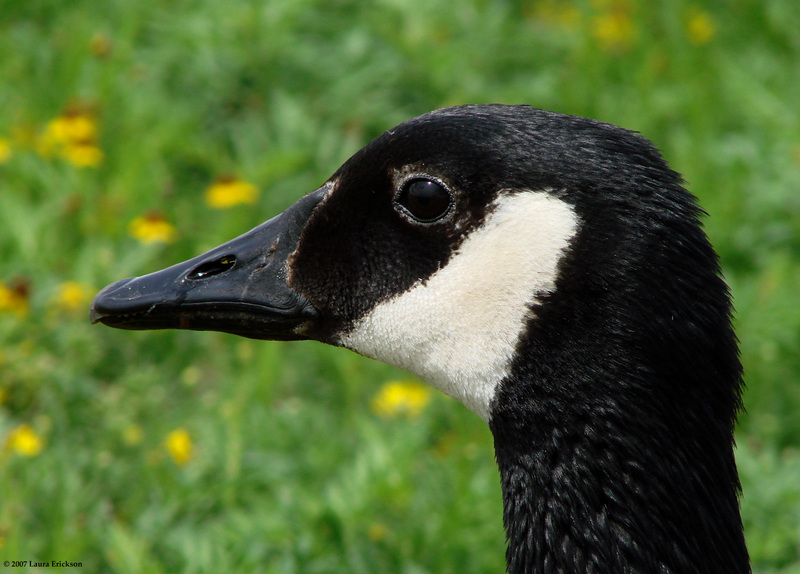 *My goofy "Twin Beaks" blog. I can't remember what other links I promised. If you think of anything else I should have here, add a comment or email me and I'll edit this post to add it. On May 13, I took Photon for a very short walk at 6:10 in the morning. We headed back to our apartment at 6:15, and there on the doorstep of my apartment building was a dead Ovenbird, still warm. It had apparently come down to earth after flying hundreds of miles overnight, was skulking about in the shrubs around the building, and the porch light or hall light bewildered it and it crashed into the glass door. I live in a large apartment complex. My apartment happens to be the one next to the office, which is why there’s an outside glass door at all—none of the entries to the other buildings, and neither of the other two entries to apartments in this building—are enclosed at all. I’d been thinking how lucky I am to be in one of the handful of apartments in the entire complex that has an enclosed entry—I don’t have to go outside, even momentarily, to get my mail or go down to the basement laundry. But that poor Ovenbird paid a heavy price for such a minor convenience. When I was in Guatemala two years ago, I spent quite a bit of time with an Ovenbird. He or she had a winter territory near the conference center I was visiting. Whenever I could break away for a few minutes, there the bird would be. It was fun watching it go about its business, not focused on nesting or feeding young but on just living day to day. That bird had flown thousands of miles to get there—perhaps it, too, had come all the way from Minnesota, but it didn’t arrive in the comfort of an airplane but after millions of wingbeats, flying entirely on its own power. While I was there, the weather was beautiful, but there were other dangers for a little Ovenbird—snakes and large lizards that could snap it up in a single bite, army ants that could envelope it as it slept, and a host of other predators. And in the tropics, Ovenbirds are still vulnerable to windows—while I was there, an Ovenbird was found dead beneath a window. For some mysterious reason, Ovenbirds are killed at windows and glass doors in disproportionate numbers—dozens of people over the years have told me that although they hear Ovenbirds on every summer walk through the woods, the only Ovenbirds they’ve ever seen were found dead under their windows. As I held this poor dead Ovenbird, still shrinking as the last vestiges of breath passed out of its air sacs, I could feel the tragedy of a bird, a fellow traveler on this planet coming so far, working so hard, to come to such a meaningless end so near to its destination. The irony and sadness cast a pallor on the rest of the day. Gary Larson once drew a Far Side cartoon with the caption, “When birds hit the window of vulnerability.” He drew a huge brick building with just one tiny window and a bird hitting it with a big “Bonk!” He didn’t draw it carefully enough to be identifiable, but my guess is that bird would have had to be an Ovenbird. The fact that I could be ironically detached enough from the tragedy of this Ovenbird death to think of a Far Side cartoon bespeaks just how removed from the individual lives of other species we can be. But John Donne’s masterful meditation on the connectedness between us humans is perhaps not as all-encompassing as it should be. No man is an island, entire of itself. And mankind is not an island either, entire of itself. Any being’s death diminishes me, because I am involved in the planet’s life; and therefore never send to know for whom the bell tolls; it tolls for thee." (Today's radio program transcript. You can here the program on my podcast page--click on the title and wait patiently till it loads. Today Is International Talk Like William Shatner Day! Most dogs wouldn't last 5 minutes in a prairie-chicken blind before they barked, whined, or otherwise became nuisances. But this little dog waited patiently the whole time I was there--and I lingered an hour longer than was required! But she's not a morning dog, as you can see. I came across this photo when I was posting my Greater Prairie-Chicken photos to my Flickr photostream last night. This is rather shameless self-promoting, but I sure wish that, with the new State of the Birds report, people would take another look at 101 Ways to Help Birds. I cover removing unnecessary fencing (the #1 cause of mortality for female prairie-chickens!!) energy conservation and how all the methods of producing electricity cause serious harms to habitat, air and water quality, etc. [well, except solar]), suggestions for making windows safer for birds, what to do when you find a bird in trouble, the best ways to solve problems with birds, etc. 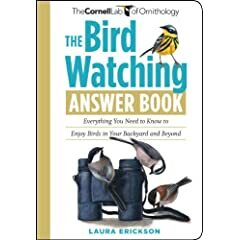 I was covering a lot of these topics before others seemed to even notice them--there's a part about birds and airplanes, for example, and I was researching bird impacts with windows for years before the book came out in 2006. Anyway, it really is worth a read, whether you buy it, check it out from a library, stand in the aisle or sit in a chair and read it at your favorite bookstore, or read it piece by piece in Google Books. I put my heart and soul into it, and years of research and writing, and it would be lovely if it were selling better. Editors at two very prestigious publishing houses wanted to publish it, but in both cases the marketing departments nixed the project saying no one wants to buy books about conservation. I'd love to prove the marketing departments wrong, but so far apparently they were right. Much as I love blogging, more and more I find myself thinking of how to post information as a bird might do, so I'm putting more and more information on Twin Beaks and less and less here. Some of it's funny (or not--humor is always subjective), but a lot of it is important conservation information. I'm trying very hard to make that website accessible and fun for birders of all levels, but always with a strong conservation message. I know that Macs are supposed to be so wonderful, but they're so tied to their own software, and the whole system is so inflexible that it's driving me nuts. I like a lot of features about iWeb, and that's how I'd been putting my podcasts on iTunes, but when I tried to migrate my homepage over, too, since I'm now paying TWO hosts every year and really need to start saving money, iWeb erased my whole podcast. So now I'm starting from scratch--only somehow iTunes erased the description of the podcast now, and I don't know how to change it back. Oh, well. I guess I'll have to stick with my old host for another year. I've been way too busy and distracted to post much here lately, but have been keeping up with Twin Beaks. If you're not already doing it, you should check "my" Twin Beaks blog--"the first blog by birds, for birds." This past weekend I got brave enough or cocky enough to add it to Fat Birder's Birding Top 500 list. It started out with a ranking over 1000, but quickly raced up the chart and is, as of this moment, up to the #213 spot. 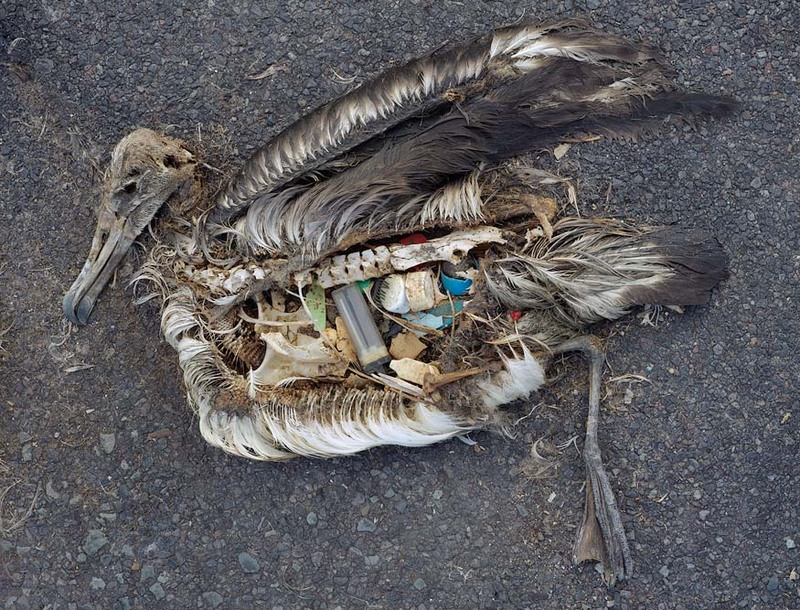 Ryan Bakelaar just allowed me to post his posting to the Cayuga Birds listserv about the necropsy he did on the Magnificent Frigatebird that turned up in Ithaca after Hurricane Ike--it's a wee bit gruesome, especially after he sent some pretty cool but explicit parasite photos (that Gil Grissom would LOVE), but very interesting. On Twin Beaks, of course, where everything is told from the birds' point of view, this is presented as the first episode of CSI: Ithaca. Check it out!